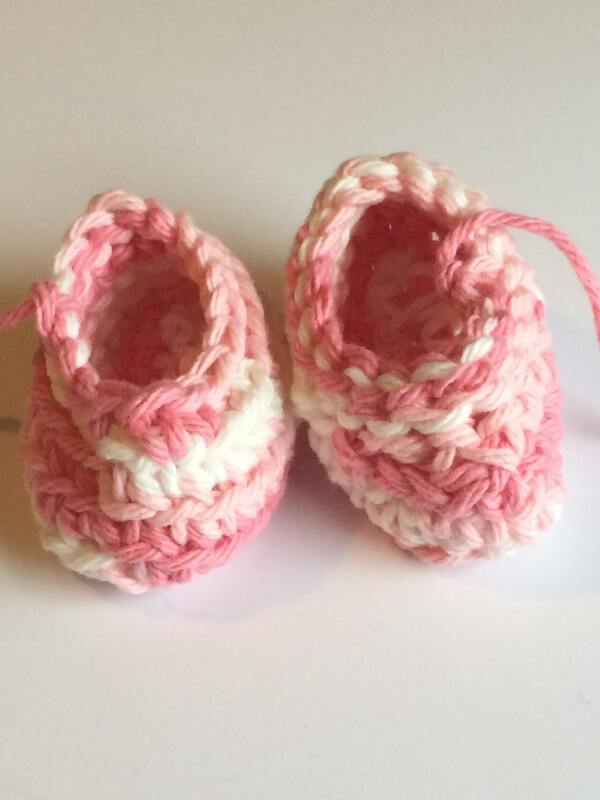 Beautiful handmade baby boots in crochet in tones of pink. 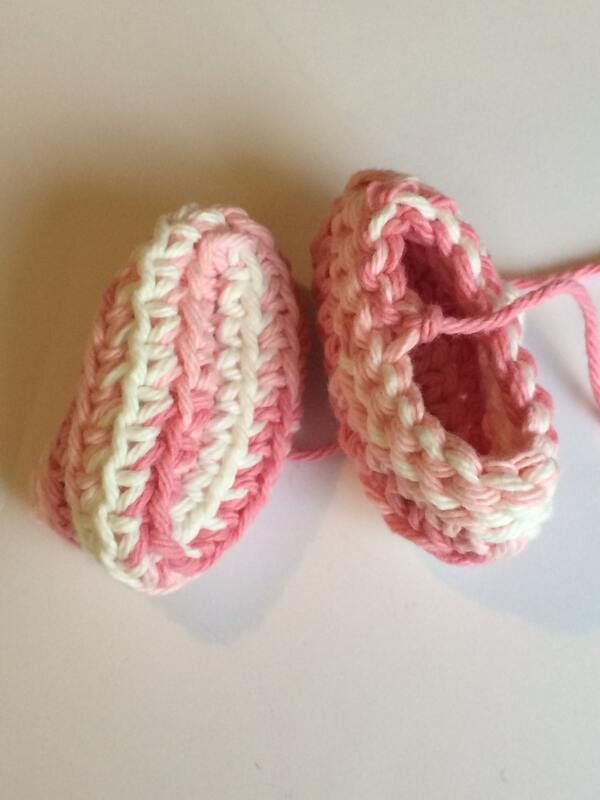 These pink and white baby crib shoes are handmade by me using 100% cotton yarn and crochet. They are fun and comfortable. They close with a string. So they fit baby's shoes. We offer FREE SHIPPING on this item. 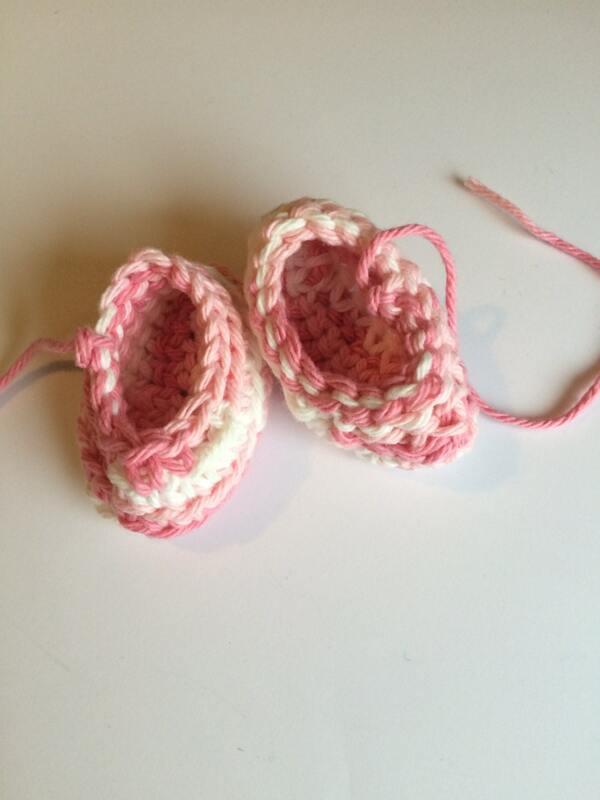 These also make unique, charming baby shower gifts. Please note we can deliver this item in other color options besides pink, blue, purple or green. 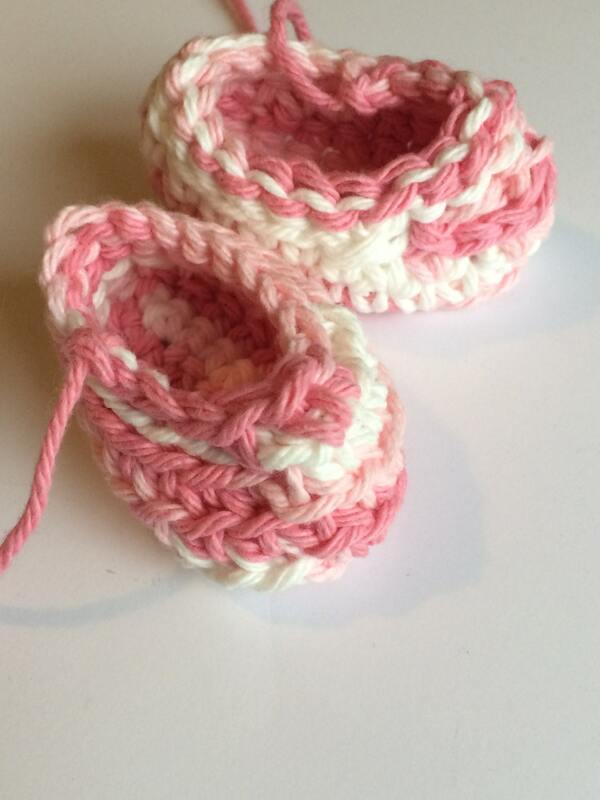 I take custom orders so please contact me if you do not see the color you want. Measurements: 3in long x 1.50 wide approximately. These are the cutest! 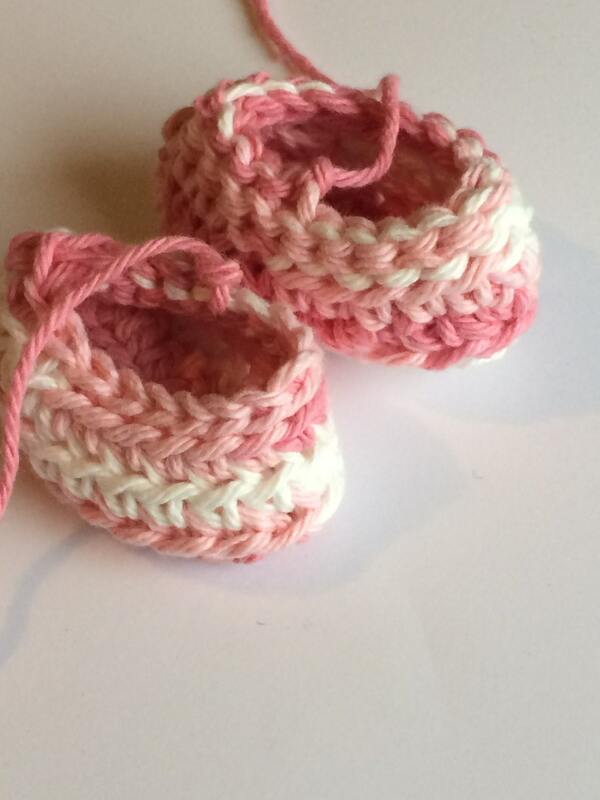 They are a gift for a family member who is expecting in a few months. I can't wait to give to her! Impeccable quality and so soft. Love these!